If you’ve been to the local dispensary lately or took a trip to the most recent Champs Trade Show in Las Vegas, then you’ve probably seen these little tanks filled with THC or CBD oil. What are they and why are they suddenly everywhere? 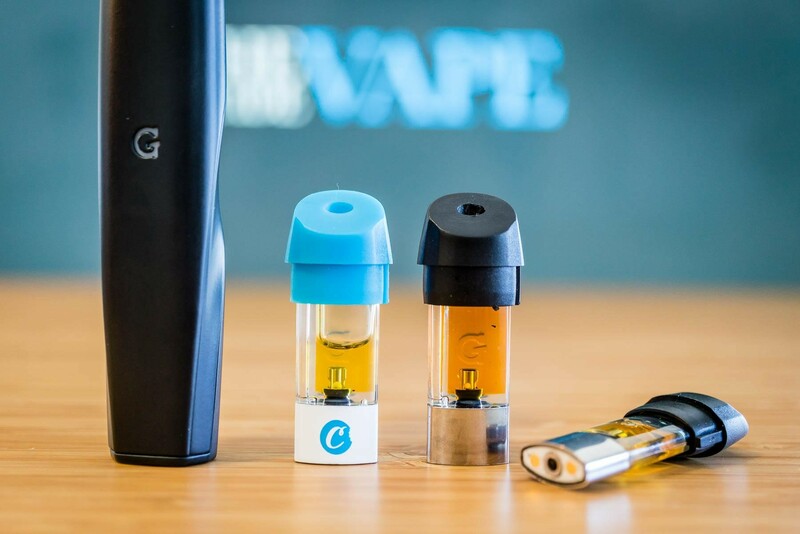 They are pre-filled oil cartridges, made to be used with special vaporizers, as for why they are so popular, well that will take a little longer to explain. I’m sure we all know about the various marijuana extracts, wax, budder, honeycomb, etc. THC oil is the liquid extract and at first, was used in oil vaporizers that had refillable cartridges. Lots of people liked them but some people found that refilling the oil via a small hole was really inconvenient, messy, and time-consuming. So some people decided to do something about it. Those people were from Pax, makers of the legendary Pax 2 and Pax 3 vaporizers. 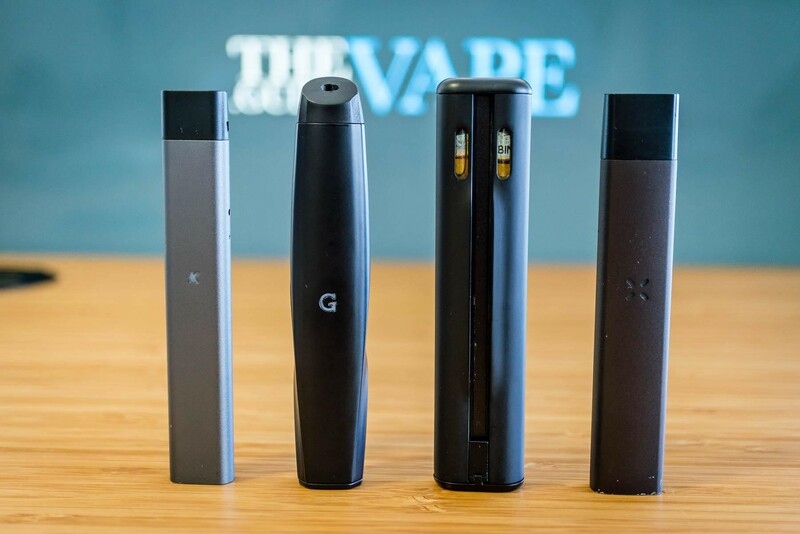 They created the Pax Era, an oil vaporizer that uses pre-filled oil cartridges. And suddenly the oil vaping game was changed forever. The Era was as simple to use as Pax’s e-cigarette, the JUUL. All you had to do was pop a cartridge into the battery and start vaping. No more spills, no more refills, no temperature to calibrate, no buttons to mess around with. No doubt that had something to do with its popularity, the Era was the first of this kind of oil vaporizer to hit the market but it wasn’t the last. The G Pen Gio and Double Barrel have both followed in its wake, offering similar levels of convenience and simplicity. Another reason these oil pod vaporizers started to blow up is that they are really affordable, they’re some of the cheapest vaporizers available. They’re also really small and really portable so you can use them pretty much anywhere, especially since they have the natural camouflage of looking a lot like e-cigarettes. If anyone is giving you the side eye about vaping in public, shut them down by telling them that you’re using an e-cigarette, which can be used basically everywhere. So these oil pod vaporizers are stealthy, easy to use, convenient, and portable, are there any downsides to them? There are a few, the biggest one being that they’re not available in every state in the union just yet. So if you don’t live in one of the state’s where they’re legally available to buy from your local dispensary, you’re out of luck. There is also the fact that you can’t choose what kind of oil to use, you have to use what’s provided for you by the manufacturer. So you’re lucky enough to live in a state where these vaporizers are available, which one do you choose? Here’s a quick rundown. The first but, is it the best? It has its good points, namely that by being the first, it has easily the largest selection of oil pods to choose from. So, there’s a good chance your favorite strain is in there somewhere, if it’s not then you should be able to find something close to it. Maybe even a new favorite. The downside to the Pax Era is that it doesn’t have the smoothest pull, inhaling the vapor requires some effort on your part. The Gio is one of the newest oil pod vaporizers and it’s pretty great. It has a cool design that stands out and it has a nice smooth draw that produces great tasting vapor. Right now the only bad thing is the limited selection of oil to choose from, a situation that I’m sure that will change pretty soon. The Gio delivers great flavor no matter the type of oil you use. The Double Barrel is so called because it can use two cartridges at once. Yes, you read that right, two at once. So it must be the best, right? Well, if it’s massive clouds you want, then yes. If you don’t want to worry about recharging your vaporizer, then yes. If you want a comprehensive selection of oils, then no. The Double Barrel has the most meagre selection of oils here. Is the oil pod vaporizer a fad or is it here to stay? I’d say it’s going to be here for a long time. As more states loosen up and more strains become available to the manufacturers. You can’t beat the oil pod vaporizers for convenience and accessibility and once everyone figures that out, this category will get even bigger.